Watching her remember, as if she’d gone back in time, I wondered if my children would remember the stories I’d read to them. So I asked. And it turns out they do! Before I knew it, we’d created a list of our Very Favorite, Most Memorable Books. Please help us add to the list and tell us some of your favorites! When these “Oldies but Goodies” get pulled off the shelf, everyone smiles, nestles in a little more deeply and casually tries to claim the book as a bedtime companion. After looking over the list we’d compiled, I wondered why out of all the books on our shelves, we chose this particular handful of picture books. Then I remembered. When Andie was in her NICU home, two-year-old Tucker and I recorded a tape of us reading stories in to a mini-tape recorder and left it in her isolette. Even when we weren’t there, we knew she’d hear our voices when the nurses played the tape. Can you guess what books we read onto that tape? Yup, the books on the list below! 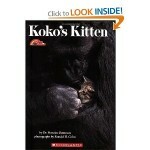 Koko’s Kitten by Dr. Francine Patterson – The story of the gorilla Koko who communicates in sign language and expresses her desire for a kitten as a friend. A beautiful, true story – a real tearjerker. 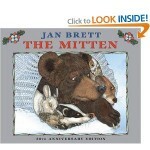 The Mitten by Jan Brett – As a little guy, Tucker would point to the mitten lost in the snow and say, “Uh, oh.” We love all of Jan Brett’s books! Another favorite is Trouble with Trolls, where a young girl tricks the trolls and makes her get away on skis! 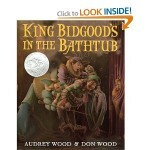 Husband and wife team, Don and Audrey Wood, she writes, he illustrates have created some of our favorites: I’m as Quick as a Cricket, The Napping House, The Little Mouse, the Red Ripe Strawberry, and the Big Hungry Bear and our all time favorite King Bidgood’s in the Bathtub, about a silly king who refuses to get out of the tub! 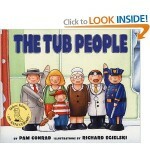 Speaking of tubs, The Tub People by Pam Conrad is another of our beloved books. The story of little wooden people who happily live on the edge of the tub until the tragic day the tub boy is lost down the drain. I’ve never read it without choking up. 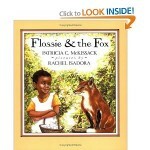 Flossy and the Fox – This is the story of a clever young girl who tries to outsmart a fox. The story was told to the author, Patricia McKissack by her grandfather and in the audio version, she reads the story in her native language of the Deep South. My attempts to replicate her accent are always good for a laugh! 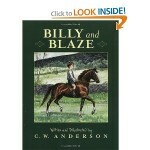 Billy And Blaze: A Boy And His Horse (and the entire series) by C.W. Anderson. These picture books that tell the adventure stories of a boy and his horse. 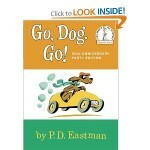 They are longer picture books and serve as a wonderful bridge before moving on to chapter books. 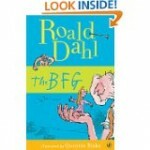 The BFG – We love all of Roald Dahl’s books, but this is our favorite. This is the book where Daddy perfected his “giant voice” and created a Big Friendly Giant our children will forever remember and adore! 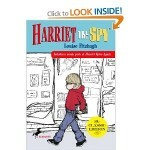 Harriet the Spy by Louise Fitzhugh – One of my all time childhood favorites. I couldn’t wait for the kids to be old enough to meet Harriet, the incredibly wise and wonderful child who literally spies on people and chronicles their lives in her ever-present notebook. From the Mixed-up Files of Mrs. 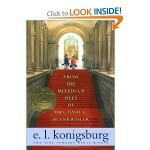 Basil E. Frankweiler by E.L. Konigsburg – This Newbery Award winning book chronicles the story of brother and sister, Jamie and Claudia who run away from home and spend the night in the Metropolitan Museum of Art in New York City. 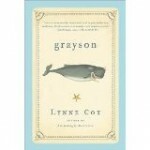 Grayson by Lynne Cox – This is the extraordinary story of a teenage girl who spends a morning swimming of the California coast with a baby whale who’s searching for his mother. Just thinking about this true story gives me chills. 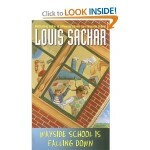 The Wayside School books by Louis Sachar – The Wayside School was supposed to a single story with thirty classrooms side by side. Instead the classrooms were built one on top of the other, creating a school thirty stories tall! These stories are completely absurd, absolutely hysterical and a must read! If you can find an audio version and hear Louis Sachar reading in his nasally voice, your car trips will never be the same! We love listening to Audio Books. They’re expensive, so we borrow them the library or set up an exchange with friends. They’re great for long car trips, but we often have a story playing just for the daily trips back and forth to school. We have many favorites, but one is Charlotte’s Web, read by E.B. White. To hear him tell the story in his rich Maine accent is truly a delight. 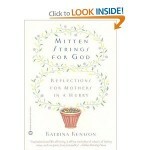 Mitten Strings for God: Reflections for Mothers in a Hurry by Katrina Kenison – Found this in the hospital gift shop the day after Andie was born. Need I say more? 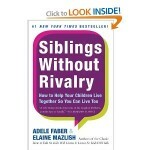 Siblings Without Rivalry: How to Help Your Children Live Together So You Can Live Too by Adele Faber and Elaine Mazlish – This book has truly been a life saver when my children are constantly fighting and I’m ready to pack up and move out! 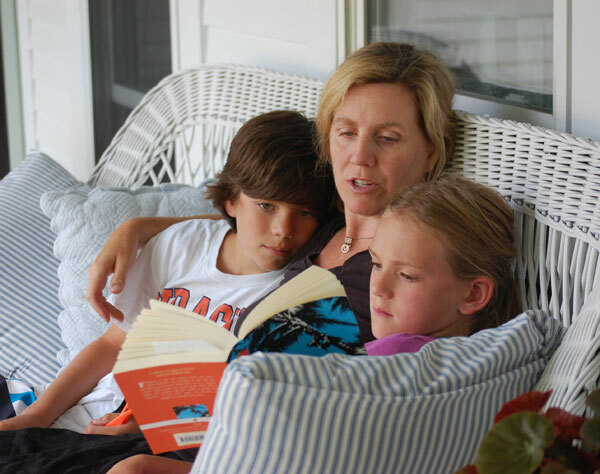 Simplicity Parenting: Using the Extraordinary Power of Less to Raise Calmer, Happier, and More Secure Kids by Kim John Payne – True disclosure, I haven’t finished reading this book yet, but from what I’ve read so far, it’s right on. The book has allowed me to see that our family, like so many others, is moving too fast and like frogs in a pot of water that’s slowly coming to a boil, we don’t even know it! Finally, a book I just finished reading last night, not a parenting book necessarily, but a book about living life Wholeheartedly. It’s so amazing I’m ready to stand on a street corner and pass out copies, The Gifts of Imperfection; Let Go of Who You think You’re Supposed to Be and Embrace Who You Are by Brene’ Brown. 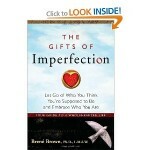 More to come about this book, as I’d like to devote and entire blog to this one! We’re hoping this will be just the beginning of a growing list as you share your favorites as well! Just click on the Comment link below to leave your suggestions. Even if it’s just one favorite, we’d love to know about it! Little Ducklings? The Game of What?